work Tirumanthiram is the foundation upon which the later structure of Saiva Siddhanta philosophy was built. The central doctrine of the Saiva Siddhanta philosophy is that Siva is the Supreme Reality, and that the Jiva or the individual soul is of the same essence as Siva, but not identical. Pati (God), Pasu (soul), and Pasa (the bonds) and the thirty-six Tattvas or principles which constitute the world, are all real. The Saiva Siddhanta system is the distilled essence of Vedanta. It prevailed in Southern India even before the Christian era. Tirunelvely and Madura are the centres of the Saiva Siddhanta school. Even now, Saivism is a very popular creed in South India. It is a rival school of Vaishnavism. Characteristics of the Supreme Reality: The Supreme Reality is called Siva. He is infinite consciousness. He is eternal, changeless, formless, independent, omnipresent, omnipotent, omniscient, one without a second, beginningless, causeless, taintless, self-existent, ever free, ever pure, and perfect. He is not limited by time. He is infinite bliss and infinite intelligence. He is free from defects, the all-doer, the all-knower. Lord Siva is the God of Love. His grace is infinite. His love is infinite. He is the saviour and Guru. He is engaged in freeing the souls from the thraldom of matter. He assumes the form of a Guru out of His intense love for mankind. He wishes that all should know Him and attain the blissful Siva-Padam (the state of Siva). He watches the activities of the individual souls, and helps them in their onward march. He liberates the individual souls from their fetters or bonds. The Five Activities of the Lord: The five activities of the Lord are: Creation, Preservation, Destruction, Veiling and Grace. These, separately considered, are the activities of Brahma, Vishnu, Rudra, Maheshwara, and Sadasiva. instrumental cause. Maya is the material cause. consciousness (Chaitanya). Siva is pure consciousness, but matter is pure unconsciousness. Shakti is the intermediate link between the two. Shakti is the reflex of Siva. It has no independent existence. Siva assumes this form out of His great love for mankind. Siva wishes that all should know Him. Evolution of the Tattvas from Suddha Maya: The world undergoes evolution for the benefit of the souls. The whole process of creation is for the sake of the salvation of the souls. The world is real and eternal. The world of matter and souls forms the body of the Lord. Siva, the experiencer, becomes the ruler. He is then Iswara, Who is not really separate from Sadasiva. Suddhavidya is the cause of true knowledge. Maya, the third Mala or bond. Maya is the material cause of the world. The soul gets experience and limited knowledge through Maya. The soul learns, by long experience, that this Samsara is full of pains and is transitory, and that he can attain eternal bliss and immortality only by attaining Sivatva or the nature of Siva or God-realisation. He develops Vairagya (dispassion), and Viveka (discrimination between the Real and the unreal, the Permanent and the impermanent). Discipline and grace culminate in Jnana. Jnana is the supreme means of salvation or the attainment of the final beatitude. Karma and other means are only subsidiary to it. They are auxiliaries. The attainment of Sivatva or Siva-nature does not mean complete merging of the soul in Siva. The liberated soul does not lose its individuality. It continues to exist as a soul in God. Sivatva is the realisation of an identity of essence in spite of difference. The soul attains the nature of Siva or God, but it is not itself Siva or God. Three orders of Jivas: The Siddhantins divide Jivas or Pasus into three orders, viz., Vijnanakalas, Pralayakalas and Sakalas. Vijnanakalas have only the Anava Mala (egoism). Maya and Karma have been resolved. Pralayakalas have been freed from Maya alone, in the stage of Pralaya. Sakalas have all the three Malas. and illumines him. Then the soul realises its nature as Siva. There was another cause for Sundarar.s human birth. To an ordinary man it may appear that Sundarar was a victim to lust, even in the divine realm of Kailasa. It was not so. Sundarar was only an instrument in the hands of God. It was Lord Siva.s wish that Sundarar should sing Tiru Thonda Thogai for the benefit of mankind. So, Lord Siva entered his mind and created a desire for these two girls. Also, the Lord wanted to teach mankind a great lesson. Lust is extremely powerful. It can delude even a great devotee of the Lord like Sundarar, if he is not ever vigilant. Maya.s charms are powerful. Unless this evil quality is burnt, the Jiva cannot reach Siva. Yet another lesson. The lustful eye was the cause of Sundarar.s downfall. But, when it is used in the service of the Lord (for looking at the holy shrines, holy images of God, saints, and study of scriptures) the very same organ will help towards our emancipation. 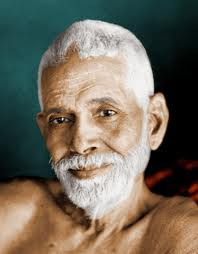 Cheraman expressed a very great truth: that even if the devotee is undeserving, if he is devoted to a saint (the Guru), he will also gain a place in the kingdom of God, through the intercession of the Guru. It would not be out of place here to say aword about this mark on the forehead of devotees of Siva. Through this mark Lord Siva teaches silently that the spiritual aspirant should destroy the three types of impurities, viz., Anavam (I-ness), Karma (selfish activity), and Maya (illusion): the three desires or Eshanas, viz., desire for worldly goods, for son and for wife: the three Vasanas or subtle tendencies, viz., Lokavasana (worldliness), Dehavasana (attachment to the body) and Shastravasana (blind faith in the scriptures and polemics), and that he should transcend the three bodies (physical, astral and causal), and the three states, viz., waking, dreaming and deep sleep,.and eventually attain union with Lord. The Shastras assure us that the Bhasma or sacred ash is a divine healer. It cures all diseases, including the disease of birth and death, and bestows on the devotee who wears it, the highest wealth, viz., Moksha. Punitavathy fell at His Feet, and prayed: .Oh Lord of Mercy, give me sincere, pure, unalloyed, eternal and overflowing devotion unto You. I want no more birth. If, however, I have to take birth here, grant me that I should never forget You. Whenever You dance, I must be at Your feet singing Your praise. This is my only wish.. Lord Siva granted the boon and asked her to proceed to Tiruvalangadu to witness His dance. She went to that place and spent her life singing the praise of Lord Siva. Here is another great but simple spiritual practice. Talk to other people about God and the glory of devotion, etc. You will be building up a powerful spiritual fortress around you. You will be able to avoid people wasting your time: you will not indulge in nor allow others to lead you into, gossip which is the spiritual aspirant.s arch-enemy. People who may in the beginning, think that you are strange in your behaviour, will soon understand you and they will, of their own accord, avoid useless talk in your very presence. At the same time, you will be rendering a very great service to humanity, by directing everyone.s mind towards God and Dharma. Here is a wonderful Yoga which helps you and others, too, at the same time. Put it into practice and realise its miraculous effect. What greatness, and what intensity of devotion is portrayed in this simple life of Kalia Nayanar! Self-forgetfulness is the key-note in devotion. Remembering God always, the devotee is so thoroughly absorbed in Him, that nothing but God and His worship matters to him. By all means His worship must go on: no obstacle shall stand in the way. The devotee.s heart and mind are always positive, never letting a negative thought enter them. He sees opportunities in difficulties and is never beaten by any obstacles which serve him as steps to God! If anyone speaks ill of a saint or devotee of God, in your presence, leave that place at once. Otherwise, your own moral and spiritual structure will be dangerously undermined. Beware! Vayilar Nayanar constructed temples mentally and did Manasic (mental) worship. He built the temple of non-forgetfulness, lit the shining lamp of Self-illumination, bathed the Lord in the waters of immortal Ananda (bliss) and worshipped Him with the elixir of supreme love. Thus he obtained salvation. Strength, too, is a manifestation of the Lord, according to Him: but it should be used in His service in a righteous way. The second one is that the fruits of such service were always dedicated to the Lord. This is the very core of the teaching of the Bhagavad Gita, and the teachings of all saints and sages. Righteousness rests on this pedestal of dedication to God and unselfishness. Selfishness is the root cause of all sins and consequent miseries. repeating the Mantra. You will get God-realisation. embodied! Immediately the entire world is transformed into a manifestation of Divine Light. All the paradoxes and mysteries of Creation are understood. special dwelling place? The perfume I smear my body with is the sacred ash. My only belonging is the garland of Rudraksha which destroys the sins of many births. Oh friends, when I am under His protection, why should I fear anybody?. meaning of these verses: so they showed this to Manickavachagar who took them to the temple, and, pointing out to the image of Lord Siva, said: .This Tillai Nataraja is the purport of these stanzas.. He at once merged himself at the Feet of Lord Nataraja. How merciful He is! How loving and kind He is! He even wears the skulls of His devotees as a garland around His neck. He is an embodiment of renunciation, mercy, love and wisdom. It is a mistake to say that He is the destroyer. Lord Siva in reality is the regenerator. Whenever one's physical body becomes unfit for further evolution in this birth, either by disease, old age or other causes, He at once removes this rotten physical sheath and gives a new, healthy, vigorous body for further quick evolution. He wants to take all His children to His Lotus Feet quickly. He desires to give them His glorious .Siva-Padam..
once elevated and you begin to think of the Lord. Lord Siva is really formless. He has no form of His own; and, yet, all forms are His forms. All forms are pervaded by Lord Siva. Every form is the form or Lingam of Lord Siva. There is a mysterious power or indescribable Shakti in the Lingam, to induce concentration of the mind. Just as the mind is focussed easily in crystal gazing, the mind of a devotee is easily concentrated when he looks at the Lingam. That is the reason why the ancient Rishis of India and the seers have prescribed Lingam for being installed in the temples of Siva. Do Puja regularly with faith and devotion. Always and at the end of your prayers, Puja, meditation or Japa, repeat the Mahamrityunjaya Mantra. for the health, long life, peace and happiness of all. This great Mantra in praise of Lord Siva works wonders, averts accidents, heals diseases and bestows long life. It will also liberate you from Samsara.